At one point today I was pondering my place in life again (I have to do something to block out the kids' screaming!) and decided that if I met someone today and invited them to my home I would look pretty "with it". Let me go back for a second and mention that I'm not inviting strangers to my home for anything bad, it's just an example, so calm down. My kitchen is clean, I have dinner in the crockpot, and all the kids are dressed. I guess if they wanted to use the bathroom my cover would be blown because there's a pile I refer to as Mt. Washmore in there. I'll just tell my new friend that both our bathrooms are under repair... forever. Yikes, my thoughts ran away with me for a second there. I thought I would show my past organizational miracles so that you can be impressed for a second, then remember the giant pile I have to wash and question why you're reading this in the first place. I pride myself on having fun, interactive ways of being organized, yet rarely use my own systems. 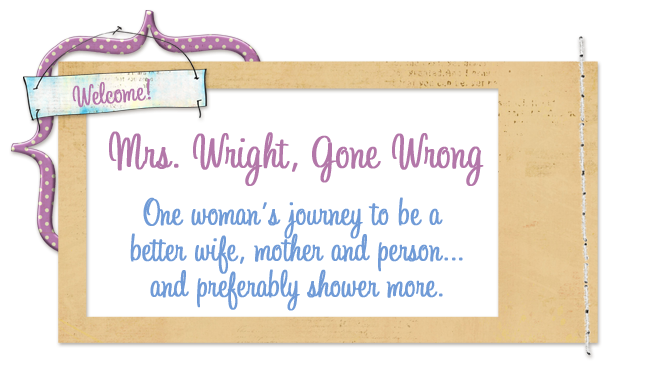 And then I tell the whole world how un-organized I am, but let's not take another ride on THAT crazy train... Let's get started! 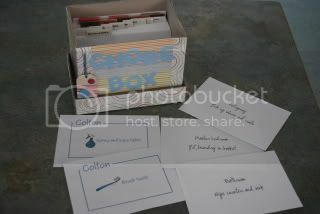 My Chore Box with yearly, monthly, weekly and daily tasks printed on cards with pictures for my non-reading kids. I had to put the SEPTEMBER cards back to take the picture! My Planning Notebooks. The bills are divided by the company we owe, each with it's own divider pocket to hold past and present bills. I actually use this daily because if I didn't I'd be attempting to get my life together with no lights on . 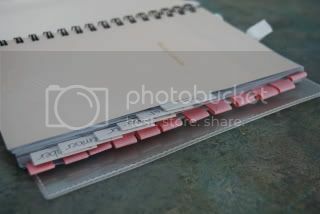 The recipe notebook is every recipe I've copied out of Taste of Home Magazine divided by the main meat ingredient so I can easily find recipes when I've thawed some mystery meat enough to identify it. It also has my past meal plan calendars that I haven't seen in months. This is my main planner. I spent a few hours making my own ribbon dividers for the months and personalizing it as much as possible. I use this incredible cute and helpful organizational tool to track my period, period. A $15 planner that's all cute and I use it once a month. Impressed yet? See what I mean!? I seem to have a sickness where I can organize anything, yet lack the follow trough. I wonder if my imaginary medical coverage would pay for treatment? I am the exact same way. 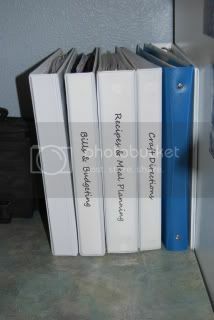 I have several binders and planners for different things. I make out a schedule everyday to follow, but I'll sit down at this blasted computer and spend two hours on the internet and there goes my whole schedule for the day. I hate that about myself. I'm very organized but terrible when it comes to self-discipline.